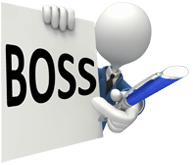 The cost of employing a BOSS accountant is about 46% of employing your own staff. You no longer have to worry about office space, Superannuation, Workers compensation, recruiting costs etc. Each BOSS accountant you have is dedicated to working YOUR way using YOUR systems and YOUR procedures. All work is done as if they were an in-house employee working in the next cubicle. (This is very different to using outsourcing services where an accountant is typically serving many different companies, you cannot communicate with them directly and you lose control over the data and the person who is working on it). With BOSS doing the compliance work you and your team can be left to do the precious “value-add” work that really helps your clients and attracts higher fees. Absolutely no recruitment fees, saving you around $10,000 to $20,000 per accountant! With a typical 10-20% attrition rate of accountants in Australia employing a BOSS accountant can greatly reduce your staff turnover. We have very high staff retention rates dues to superior working conditions, salaries 20% above award wage, assured career progression for our staff and we our staff sign a contract locking them in to us for three years. This in turn means you can expect your BOSS accountant to be with you for a long time and any improvements in performance you get to benefit from for a long time. The time, trouble and money invested in regular tax update meetings are no longer your problem! For the first six months we review the work for free ready for a Partner level review. After that period you can engage a reviewer to review work at a fraction of the cost of having a supervisor or manager do it in Australia.